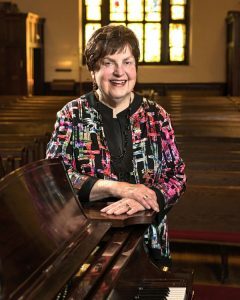 After four decades as artistic director of Music in the Park Series, founder Julie Himmelstrup will retire this spring. Fourteen years ago, Julie Himmelstrup, artistic director of Music in the Park Series, pulled off a coup: She announced that the world-famous Guarneri Quartet would play for the 25th anniversary concert season of the series she had started in 1978. In the world of chamber music, Himmelstrup had done the equivalent of persuading the Minnesota Twins to move their season opener to Langford Park. This month Himmelstrup has an equally momentous announcement, although this time the occasion is a much sadder one for those who love classical music in the intimate setting of the St. Anthony Park United Church of Christ (UCC). Himmelstrup, who will celebrate her 82nd birthday in 2018, is stepping down as artistic director at the end of the season in April. The much-lauded Himmelstrup has built a national reputation for her impeccable musical taste and her ability to attract the biggest names in chamber music to the series, which has been held annually for the last 39 years in the church, located across the street from her home. Even after Music in the Park began to attract wider renown for Himmelstrup’s ability to attract musical heavyweights, as well as her unswerving dedication to new music and the promotion of Minnesota composers, she always thought of it first as a neighborhood organization. “I want my legacy to be that I provided a special kind of art form in the community,” she says. And the emphasis has always been on community. Himmelstrup was never interested in musicians who merely show up for their concert, then pack up their instruments and depart for the next gig. For Music in the Park, an engagement includes a meet-the-musicians reception after the performance and a pre-concert talk about the music. She looks for musicians who are also willing to do additional presentations at St. Anthony Park Elementary School and local nursing homes, and sometimes even add in a special Family Concert at nearby St. Matthew’s Episcopal Church. For all her love of music, Himmelstrup never planned a career as an impresario. Growing up in Chippewa Falls, Wis., her musical education was overseen by her mother, a violinist. Young Julie studied piano, and she spent a lot of time singing in and accompanying various choral groups. (For those who remember Chippewa Falls’ other most-famous resident, computer legend Seymour Cray, Himmelstrup says, “Cray’s mother was my Sunday school teacher.”) It was Himmelstrup’s accompanying skills that led to one of the most important encounters of her early life. While studying piano at the Toronto Conservatory of Music, she gained a reputation as a skilled and accurate accompanist. One afternoon, famous Danish musician and conservatory professor Aksel Schiøtz asked the young pianist to meet a newly arrived young man from the Old Country. Anders Himmelstrup was an amateur cellist who had recently immigrated to Canada with “$50 and his cello,” says Himmelstrup. The harmonics produced by that meeting proved to be more than musical. Julie Himmelstrup had just met her future husband and biggest supporter. The couple has been married for 57 years. By the 1970s, the Himmelstrups were living in St. Anthony Park, where Anders was building his graphic design business and Himmelstrup had been appointed as one of three artists-in-residence by COMPAS, a nonprofit that places teaching artists in Twin Cities schools. Meanwhile, an idea was taking shape in Himmelstrup’s mind: “I had played with the choir at the UCC so I knew the setting, and I kept thinking, ‘That would be a beautiful place to have chamber music.’ ” Working with a committee of neighborhood residents and drawing on her contacts in the music world, Himmelstrup cobbled together a first season in 1978. The budget was a meager $5,000. With characteristic panache, she decided to kick things off by spending most of it to bring in the entire 25-person St. Paul Chamber Orchestra for the series’ inaugural performance. Thanks also to musician friends like flutist Julia Bogorad, guitarist Sharon Isbin and pianist Thelma Hunter, the first season was a success, and Music in the Park was launched. There have many unforgettable moments—not all of them musical. Himmelstrup remembers the night an overconfident out-of-town violist arranged to meet his colleagues at the church in time for his big musical moment, but ended up in St. Anthony Village instead. A couple of decades ago, there was the pianist who left his dress pants back at the hotel. In those more formal times, no classical musician could ever take the stage in jeans, so Himmelstrup delivered a 30-minute extemporaneous welcome speech to an audience that included Dominick Argento, dean of American composers, whose work was on the program that afternoon. Meanwhile distinguished local composer Libby Larsen briefly imperiled the future of classical music in Minnesota by driving the pianist at reckless speeds back to his downtown hotel to retrieve the missing trousers. Rumors that Anders Himmelstrup entertained the waiting audience with coin tricks are, however, not to be believed. There are ways in which Himmelstrup has the sense of coming full circle as she nears the end of her tenure. For one thing, the SPCO will perform the same William Bolcom piece this season that they played in that first Music in the Park performance almost four decades ago. For another, many of the performers in the coming months will be old musical acquaintances, like the Parker Quartet and David Finckel and Wu Han, whom both Himmelstrup and the audience have come to know and treasure. 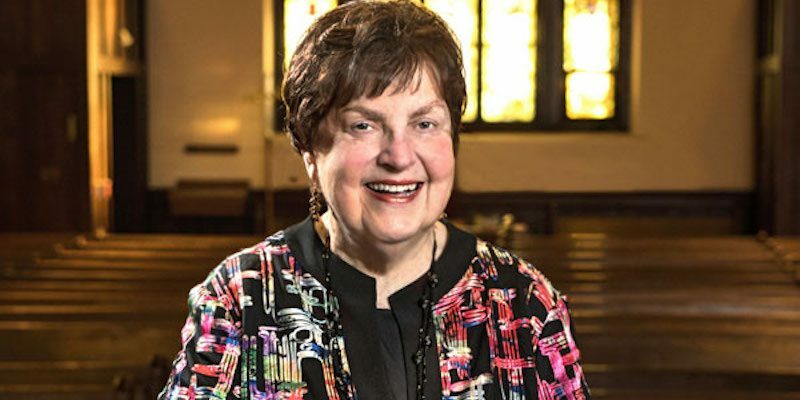 This season’s final concert on Sunday, April 13, will feature both the current Lark Quartet and the members of the original Lark, founded in 1985 by St. Anthony Park resident Laura Sewell. “It will be a kind of coming back,” Himmelstrup says. Judy Woodward is a reference librarian at Roseville Library and a regular contributor to the Park Bugle. The Music in the Park concert series is a Twin Cities jewel. And so is Julie Himmelstrup. Thanks be to God!